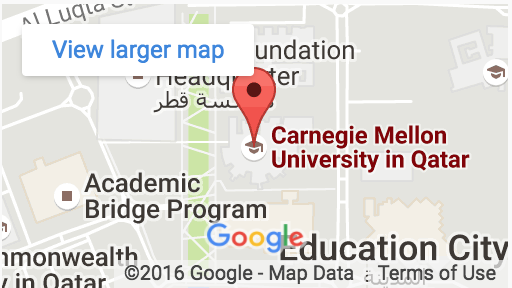 Carnegie Mellon University and the CMU-Q Alumni Association will be hosting a special reception featuring Dr. Farnam Jahanian, President of Carnegie Mellon University and Dr. David Danks, L.L. Thurstone Professor of Philosophy & Psychology and Head, Department of Philosophy in the Dietrich College of Humanities and Social Sciences at Carnegie Mellon University. Artificial intelligence (AI) and robotics are accelerating and changing almost every aspect of our lives, whether economic, social, psychological or political. While the momentum of these technological advances have created many opportunities, they have also left many people behind. The presenter will explore a range of steps – including advancements at CMU – that can be taken by technology developers, regulators, educators and members of the public to move towards the AI of a stronger, smarter society. Dr. Farnam Jahanian is the President of Carnegie Mellon University. Dr. Jahanian is a prominent computer scientist, entrepreneur and higher education leader. Dr. David Danks will speak on Looking Forward: AI’s Influence on Society’s Future. Dr. Danks is the L.L. Thurstone Professor of Philosophy & Psychology and Head, Department of Philosophy in the Dietrich College of Humanities and Social Sciences at Carnegie Mellon University.